We had a great "On-Farm Food Safety" workshop at the end of last month at Mandarin Hill Orchard in Penryn. Fourteen of our local fruit and vegetable growers were in attendance. The workshop included a discussion of strategies for improving food safety, a review of the new federal legislation, and several instructive activities. 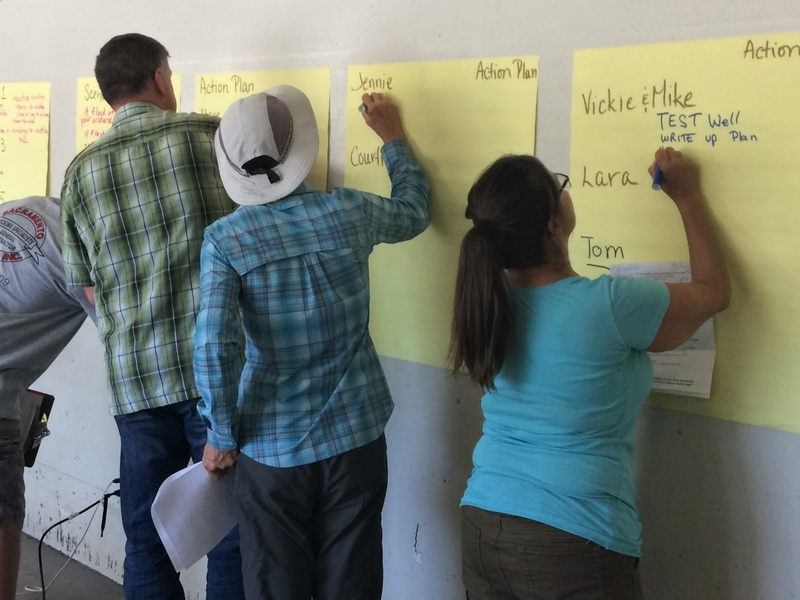 At the end of the workshop each grower was tasked with identifying three ways they were going to apply what they learned to their operations. We noticed that the majority of the growers identified needing a written food safety plan as a top action item. If you couldn't make it to our August workshop—stay posted! We will be holding another Food Safety workshop early next year.